I've taken the plunge and used my silver embossing powder. 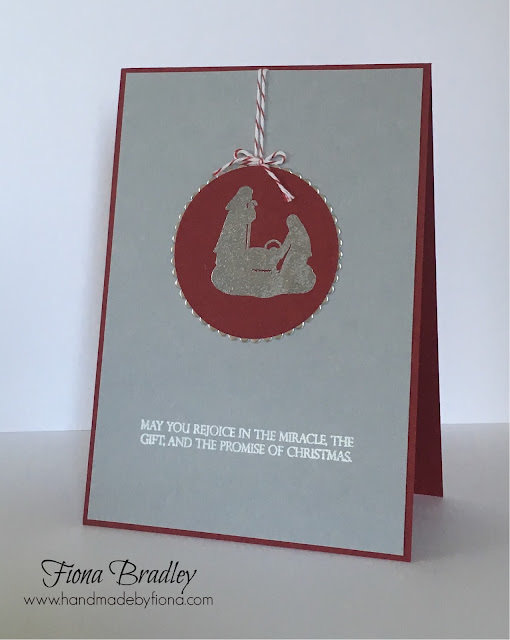 It has sat gathering dust in my cupboard for ages before I found the inspiration to use it on this card for the little image of the Holy Family. Have you used it? What do you use it for most? Sentiments or images like I have here? Heat embossing isn't as hard as you might think. Have you tried it? I'm going to be doing some tutorials over the summer to help people with some techniques. Drop me a line and let me know if there's anything else you'd like me to make a tutorial on.